On The Road To Success, The Rule is Always To Look Ahead’….. 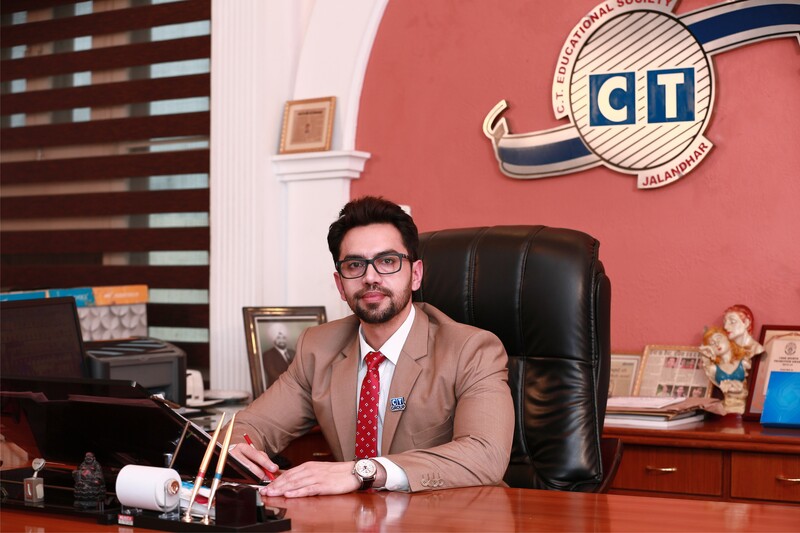 It is with great pleasure that I welcome you to our new school - CT WORLD SCHOOL. It is my dream to offer to the children an education which is 21st century in its approach, driven by a passion for knowledge and seeking brilliance in every area of student life and learning. We are committed to providing progressive education system that steers to holistic education of child. We aim to develop a future generation that takes pride in our heritage and culture, has a sense of right and wrong and at the same time a yearning for global competitive excellence. In this millennium, world is characterized by technology and dynamic change. In order to survive and perform successfully in the modern day competitive environment, we have to proactively adapt to innovation and be prepared to update knowledge and skills through continuous learning all the time. It is our endeavor to enhance the ability to acquire and apply knowledge to make our students ready for real world. Thus, are focusing on not only education but the holistic development. CT WORLD SCHOOL’s inclusive learning environment with a futuristic curriculum in place enables young learners to carve a niche for them and become responsible global citizens. Our school ethos encourages a welcoming, happy and positive learning community in which everyone is encouraged to think beyond textbooks and the classroom, in order to instill in them ‘Real Life’ skills and awareness. CT Group believes every child is special and deserves education tailored for their needs. To ensure this ideology, we rigorously work to make learning better and interesting. I have complete faith in our inherent potential to revolutionize the meaning of success and excellence. We are committed to provide a happy, diverse, caring school community, where your child will work hard and succeed.